Batman the Dark Knight opened today and the movie is already on it's way to making boxoffice history. 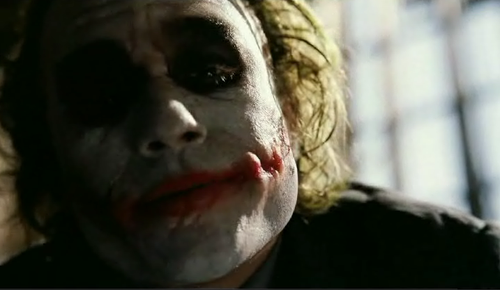 Watch the first 5 minutes of the Dark Knight online. Click here to see the Dark Knight trailer and see a Spill Movie Review on our Binside TV Movies website. A new Batman The Dark Knight trailer is online. This extended version of the trailer includes additional scenes with Aaron Eckhart's character Harvey Dent and Heath Ledger as the Joker. It's so sad that Heath Ledger died. He was on the verge of becoming an international movie star. CLICK HERE TO WATCH THE EXTENDED TRAILER. Here are other films opening today. Click on the links to watch movie trailers and get the latest movie reviews. 1. Mamma Mia starring Oscar winning actress Meryl Streep and based on the hit Broadway musical. Click here to watch the trailer. 2.Transsiberian starring Woody Harrelson and Ben Kingsley was a Sundance fave directed by indie helmer Brad Anderson. Click here to watch the trailer. 3. The Doorman - Click here to download the exclusive clip. A film crew has set out to make an insiders’ guide to the legendary New York City club scene with its most famous gatekeeper, Trevor W., “starring” as their host. Click here to watch a exclusive 5 minute clip. 3. Space Chimps - The animated G rated movie with chimps in space. Click here to watch the trailer. Unfortunately the movie is being criticized for having cheesy animation and weak story lines. The film is not getting good reviews. 4. Lou Reed Berlin premiered at the Tribeca Film Festival and is directed by Julian Schnabel. Click here to watch the trailer. 5. Felon Val Kilmer (Columbus Day, Conspiracy), Stephen Dorff (Black Water Transit, World Trade Center), Harold Perrineau, Jr. (The Matrix Revolutions, TV’s “Lost”) and Sam Shepard (The Accidental Husband, Stealth) star in the high-action and edge-of-your-seat prison film. Click here to watch the trailer.